For many young players, having to adjust to low or inconsistent sets can be a challenge and often results in hitting errors. Tom Shoji of Willamette University recognized this problem with his team and decided to implement the 6-on-6 Flamingo Drill. The Flamingo starts players on the last 2 steps of their approach, giving them just enough time to make a play on the ball. Shoji likes that this drill requires players to think of different options for playing a bad set, rather than just blasting it into the net or block. 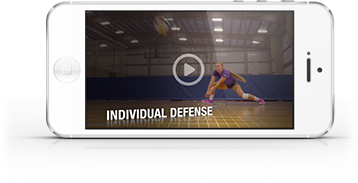 Shoji finds that the Flamingo Drill helps athletes with their approaches, adjustments and decision-making on the court. Check out the video to see how it works!